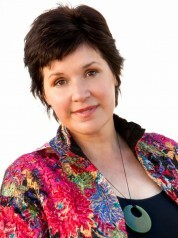 Chellie Spiller from the University of Auckland received a 2011 Fulbright New Zealand Senior Scholar Award to research indigenous business models for creating relational wellbeing in addition to wealth, at Harvard University in Cambridge, Massachusetts and the University of Arizona in Tuscon. It became evident early on in my Fulbright experience, after speaking with professors, scholars and tribal leaders, that a book of case studies on Indigenous business was needed, so throughout my stay I worked on bringing a book called Creating Wealth and Wellbeing: Indigenous Business Theory and Practice into being. The book draws upon timeless wisdom offered by Indigenous business and organisation to show the theory and practice needed to transform “business as usual” to create more healthy, wealthy and wise individuals and organisations and a sustainable future. The book features 18 real world case studies – including from Native American, Māori, Australian Aboriginal, Canadian Aboriginal, Boruca Indian and African communities – that examine a wide spectrum of the ways in which Indigenous business and organisations are tackling dilemmas. I believe there is an opportunity for New Zealand to further our global leadership in research and teaching on wealth and wellbeing, which includes educating business students and the New Zealand business community towards taking a longer termview in their decisions and practices. There are many lessons that can be learned from Māori, Native American and other Indigenous approaches to business. Many conventional businesses are forged upon a Western-styled approach and such businesses tend to focus on the creation of financial wealth, where profit is an end in itself. Their orientation is more often geared toward the short-term and present generation,with priority placed on generating individual shareholder value. The idea underpinning this approach is infinite economic growth. Many Māori and other Indigenous-based businesses, however, aspire to create sustainable wellbeing and wealth across multiple dimensions including social, cultural, spiritual and ecological well-being, as well as financial wealth. The outlook of these businesses is a long-term future generation orientation, and they factor in and involve stakeholders such as employees, suppliers and local communities. They give respect and consideration to ecologies. I believe that some of the walls of perception about Indigenous business are coming down, and the example of the Lenape peoples in Manhattan describes the shift taking place. Manhattan is Lenape for “the Island”. A wall was built on the lower reaches of Manhattan to keep the Lenape peoples out and became Wall Street, a financial epicenter too often associated with unbridled corporate greed and self-interest. In a paradoxical twist a new era is being ushered in. As Wall Street faces challenges in the wake of a Global Financial Crisis, the Lenape and descendants of those who built the original Wall, along with other business leaders, are working to create a Lenape Center. This represents a remarkable turning point as Indigenous wisdom re-enters Manhattan. The Lenape example is a rallying cry that invites the wider business community to work together in partnership with Māori and other Indigenous peoples to co-create sustainable business models that ensure a healthy future for all.